We have a brand new, creepy teaser for Stranger Things season 3. Netflix has really been making everyone wait for this one. They were quick to get season 2 out following the explosive debut of the show's initial season, which turned out to be one of the biggest hits the streaming service has had to date. Things have taken significantly longer for the upcoming batch of new episodes, which are finally dropping this summer. Now, we have a small taste of new footage. This is the smallest of small glimpses at Stranger Things season 3, as the teaser is merely seconds in length and doesn't feature any of the main characters we've come to know. It does, however, feature some hungry rats scurrying across a desolate warehouse to an unknown destination. Where did these rats come from? Where are they running to? More questions than answers at this point, but the ominous caption provided with the teaser certainly adds to the intrigue of this morsel of footage. The caption reads as follows. Previously, Netflix released a teaser revealing all of the episode titles for the upcoming season and they also released some viral teasers that showcased some of what we can expect, like the Starcourt Mall, which will be a major location. But we haven't had much in the way of actual footage. With that, this teaser becomes all the more important. Especially if we decide to read into that caption at all, which we absolutely can and will. Sure, it looks like those rats are hungry and it's feeding time for them. But is Netflix saying it's nearly time to whet our appetites as well? As in with a full-length trailer in the near future? That seems highly likely. Netflix loves to just surprise us with stuff these days so who knows what they're planning. But with the release date creeping up, a trailer release seems imminent. 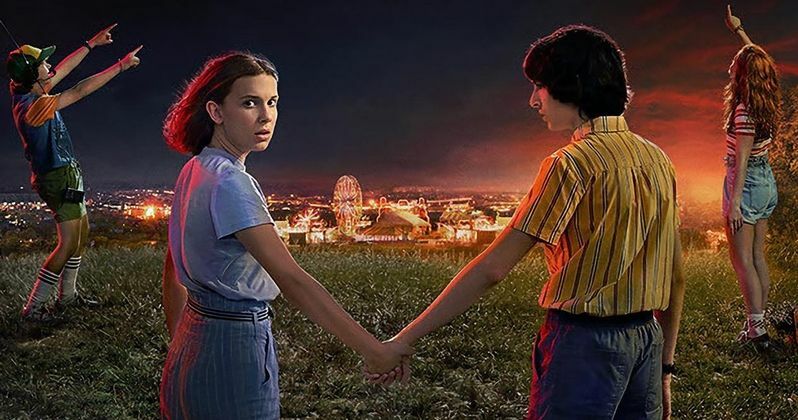 What we know is that season 3 will see a lot of returning cast members including Finn Wolfhard, Millie Bobby Brown, Gaten Matarazzo, Caleb McLaughlin, Winona Ryder, David Harbour, Noah Schnapp, Sadie Sink, Natalia Dyer, Charlie Heaton, Joe Keery, Dacre Montgomery, and Cara Buono. There are also some additions in the form of Francesca Reale, Maya Hawke, Cary Elwes and Jake Busey. We also know that the forthcoming season is going to be darker, as teased by producer Shawn Levy. Movies like Fletch and Dawn of the Dead are also said to be influences. Beyond that, much of what is coming down the pipeline remains mysterious. Though, if this brief teaser really is indicating a full trailer reveal is on the way, then we should be learning a lot more about our return to Hawkins sooner rather than later. Stranger Things season 3 is set to drop on July 4. Be sure to check out the teaser from the Stranger Things Twitter account below.